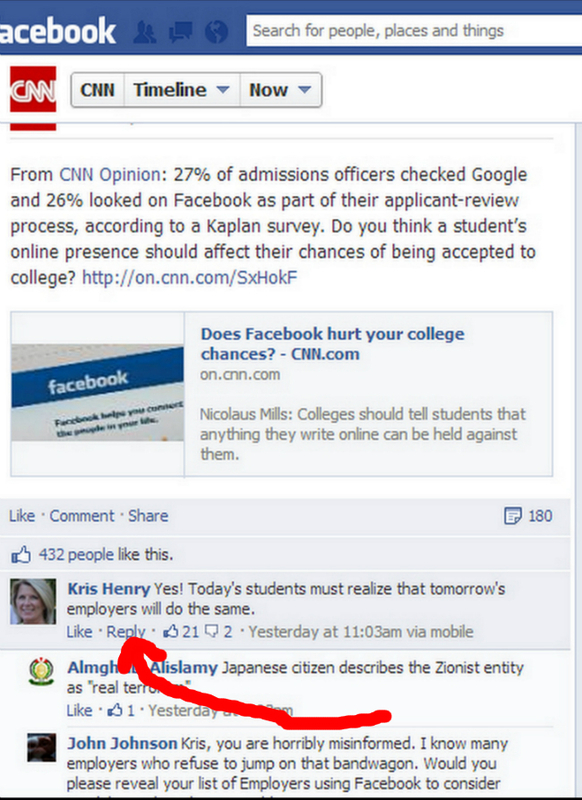 i was on the cnn facebook page earlier and saw that there was this "reply" feature on their facebook page. i clicked around a few other pages to see if it was a new thing, but according to a few recent reports it is being tested and has been doled out to only a few pages. now many other platforms such as discus has had this feature for quite some time and it can be useful when you want to make a comment in regards to another person's comment. (it also helps avoid people posting the same comment as well). are you excited about the new feature, to this almost one billion member social network?